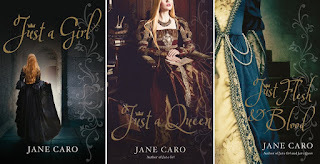 It feels like I've been waiting a VERY long time for Jane Caro to finish her Elizabethan YA trilogy. Just A Girl was first published in 2011, Just A Queen in 2015 and now, finally we have Just Flesh and Blood. I want to express my gratitude and admiration to Elizabeth Tudor herself. Her existence and commanding presence in history has always mattered to me. Whatever her mistakes and cruelties - and she was a monarch of her times so they were many - she proved to me when I most needed the proof that women could lead, they could wield power at least as well as any man, and they could do so on their own. I hope she helps young readers new to her story in the way she helped me when I was a girl in search of a hero. Her Elizabeth is based on facts and known history, but she imagines what it must have been like to be this lone woman, in power, surrounded my men trying to manipulate her and use her for their own purpose. Caro explores the life-long impact on Elizabeth to have lost her mother at so young an age and in such horrific circumstances, at the wishes of her father. The ultimate act of domestic violence in fact. Caro paints a very human queen, full of desires, impulses and incredible strength of will. A monarch who had to know her own mind in public, but was full of doubts and questions in private. Just Flesh and Blood brings us to the end of Elizabeth's reign and life. She spends the book reflecting on the important, defining moments of her childhood as well as many pivotal events from her long and glorious reign. I found her voice, in all three books to be authentic and believable. I never set out to write her as a teenager or an old woman. I don't think about that. In the same way as in life, you don't think, 'Oh, I'm a teenager… Oh, now I'm an old woman'. You are just you, and so you just write as you. 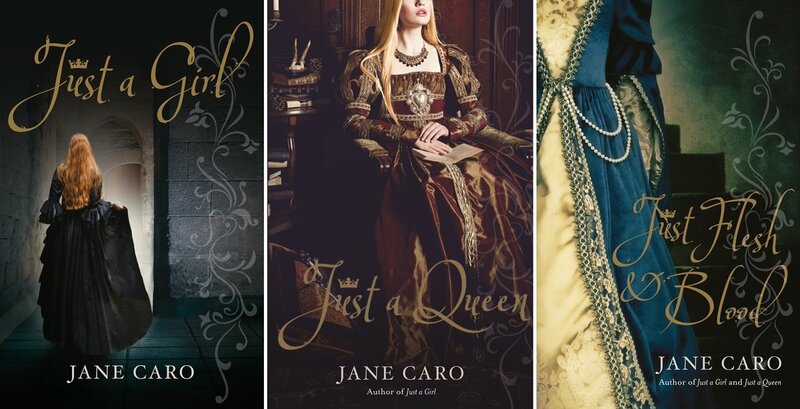 That's what Caro brings to this story, a new, very personal and intimate way of viewing Elizabeth I. It's a chance for Elizabeth to step outside the history books and for us to see her in all her human glory, warts and all. There's a lot to admire. I didn't know about Jane Caro's Elizabeth. I've read quite a bit of Phillipa Gregory - romances/historical fiction of the years preceding Elizabeth - and just this week I've been looking at 16th and 17th century women's writing. It seems there were always one or two women ready to contest the rules devised by men to keep them in their place. It's a fabulous trilogy. Caro has done a great job of humanising a long dead historic figure. I'm always amazed by people's passions that come out when least expected.